Pyloff Packaging Pvt. Ltd is a four decade old company into packaging in India. Company pioneered Pyloff® industrial grade release papers, Stoprust VCI/VPI anti-corrosion papers and food grade polycoated papers to TAPPI USA standard. Post liberalization period, the company has considered it prudent to diversify into promotion of world class automated packaging technology. To meet the gap in technology pertaining to world class packaging machinery and automation equipment in India. Promotion of new technology in primary, secondary and end of line packaging at par globally. Company also promotes technology in food processing. Pyloff offers equipment and machinery from world leading Italian manufacturers such as Concetti, Colimatic, Imanpack, Curti, Zambelli, Europack and TechnoWrapp. Pyloff also promotes equipment for processed cheese manufacture such as individually wrapped slice (IWS) and slice on slice (SOS) from Green Bay Machinery (GBM), USA. Pyloff provides access to financial assistance either by way of foreign exchange or rupee funding at attractive terms as may be suitable to qualifying importer. 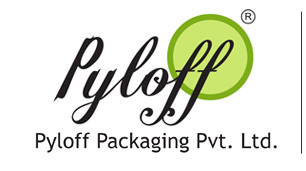 Home | About US | Technology Partners | Clients | Contact Us Pyloff Packaging Pvt. Ltd. Copyright © 2013 Pyloff Packaging Pvt.Ltd.